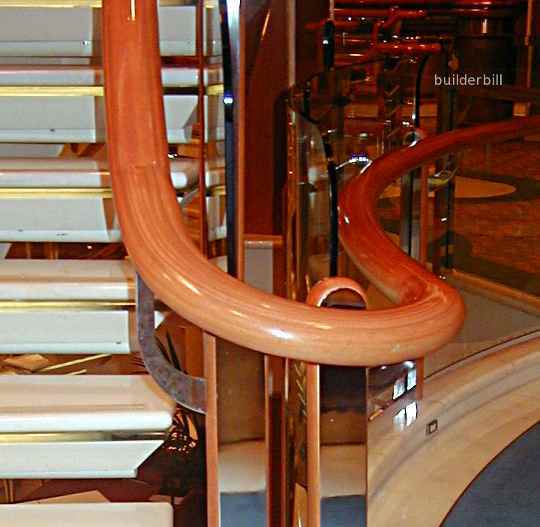 A system of handrail building using smooth curves where the user can walk from one floor to another without having to let go of the rail. When newel posts where part and parcel of the strength of stairs and balustrades they often used to project higher than the handrails. The reason for this was to give added strength to the mortise and tenon joints between the rails and the newels because full width tenons could be used. (They often projected under the landings too for the same reason.) This practical reason soon took on an aspect of decoration and it is common to see really ornately carved newels. Beautiful as these old stairs are, showing off the craftsmanship of their builders, these features are no longer desirable in modern stair building. They force the user to let go at certain points which is now seen as unsafe in certain cases. Enter the concept of continuous handrails. which is not by any means new, but modern regs are giving it more drive these days. The stairs and landings in this photo are protected by all steel balustrades and they use the continuous handrail system which is gaining popularity not only in commercial work but in private homes as well because of the safety feature of this method of building handrails. A person should be able to grip the handrail at the bottom of a stair and walk all the way up it, around any landings without ever having to let go of the rail. What you see here is a handrail wreath. Once the high point in stair joinery these continuous flowing curves are now being made more and more by computerised machinery. The skill involved is no less than the old methods, but it is now in the hands of the machinery builders and software developers. And a good job they do too. 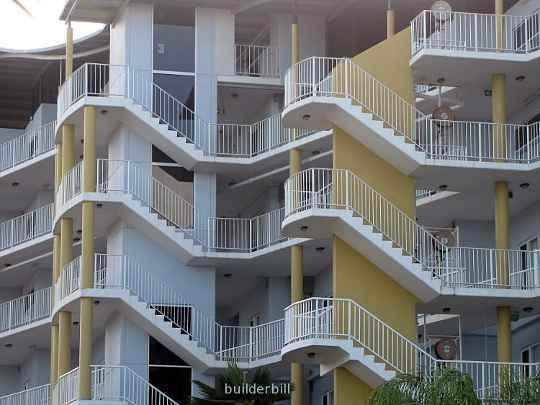 Anything that can be built in the way of staircases can have modern handrails made for them. 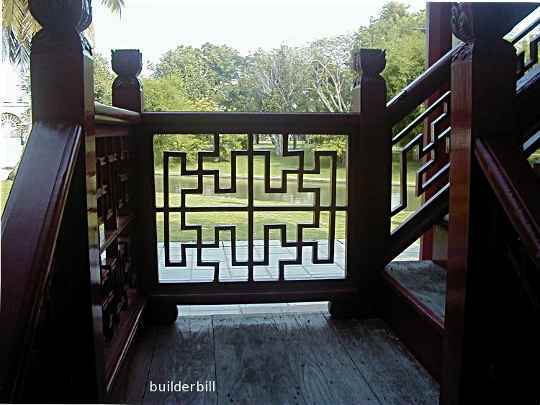 The old craftsmen knew how to do timber handrail wreaths like these, but what has made these modern ones viable in this day and age is the cost effectiveness of machine rather than hand work. The rail above would have been made on a 5 axis computer driven machine with numerous cutting heads. It would have a modern dowel and bolting system at the joints and use quite probably an epoxy resin or other hi-tech glue. 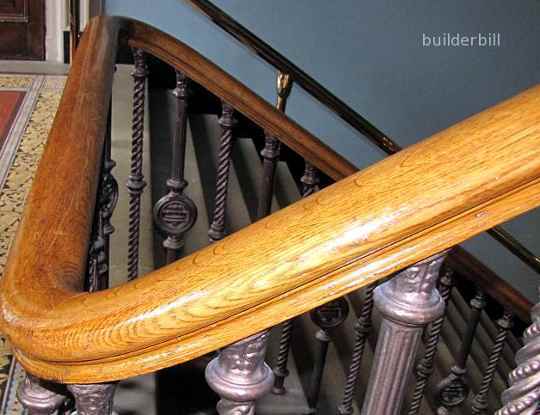 A handrail made in Victorian times with smooth curving wreathes to the landing.